Australia is an idyllic island continent and country with a heterogeneous, culturally diverse, proud and happy populace. It is known for its natural beauty as well as for its inhabitants who are fun loving and indulge in revelry on fitting occasions. It also has an advanced economy based on strong foundations in technology, the sciences and engineering. Its quality of life is considered to be among the best in the world with work-leisure balance, recreation, etc. which every citizen and resident of the country can experience and enjoy by permanent residency. So Immigration to Australia is best and all of this being so, the country naturally attracts people the world over who seek to apply for and obtain its permanent residency for Australia status. Australia has categorized applicants for permanent residency in Australia into many categories such as ‘family members’, ‘workers’, ‘investors’, ‘refugees or humanitarian entrants’, etc. For family members, there are a number of visa options based upon type of family member to migrate to Australia for reunification (i.e. 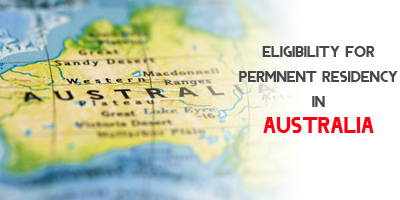 permanent residency for Australia) such as ‘fiances’, ‘partners’, ‘children’, ‘parents’ and other family members of Australian citizens, Australian permanent residents or eligible New Zealand citizens. Some of these family visa types or streams may have caps and long queues that makes the wait, very long, tedious, cumbersome, etc. Among the worker visa categories, applicants applying for permanent residency for Australia can use ‘SkillSelect’ system to apply for permanent residency for Australia. SkillSelect is an online system. It enables skilled workers who are keen or interested in migrating to Australia to input and record their details to be considered for a skilled visa through a process which is termed as ‘Expression of Interest’ (EOI). There is no need for any employer sponsorship, or any government – provincial, or federal, etc. to nominate a worker for permanent residency under ‘SkillSelect’. 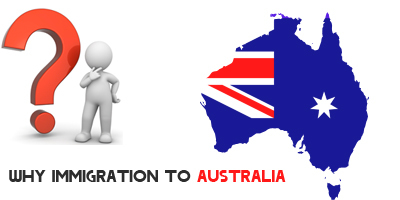 The only requirement is that a letter of invitation has to be sent from the immigration authority for the beginning of the permanent residency in Australia process, under this category. Australia also has an ‘investor visa’ and a ‘business skills’ migrant visa which allows individuals to migrate to Australia provided some conditions are met under each of the categories of the program. And, finally there is the ‘refugee or humanitarian program‘ under which applicants who are refugees, or are persecuted are allowed or granted permanent residency Australia, on a case-by-case basis. For more updates on permanent residency for Australia and other migration services catch us at More Visas Facebook Page.